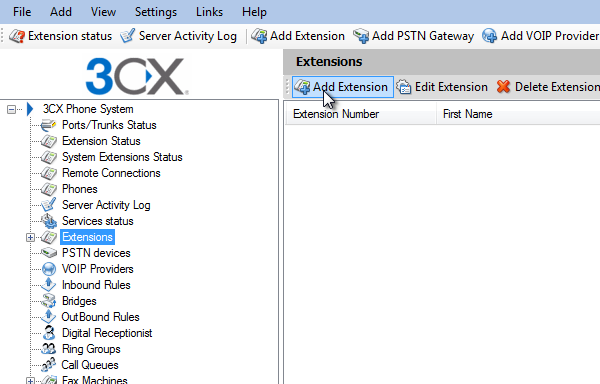 This guide shows you how to create an extension on 3CX. The extension can be used with Ozeki 10. 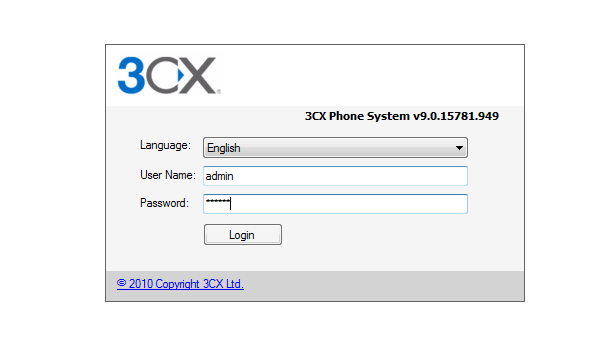 Before you start to configure this solution it is assumed that you have already installed your 3CX Phone System. 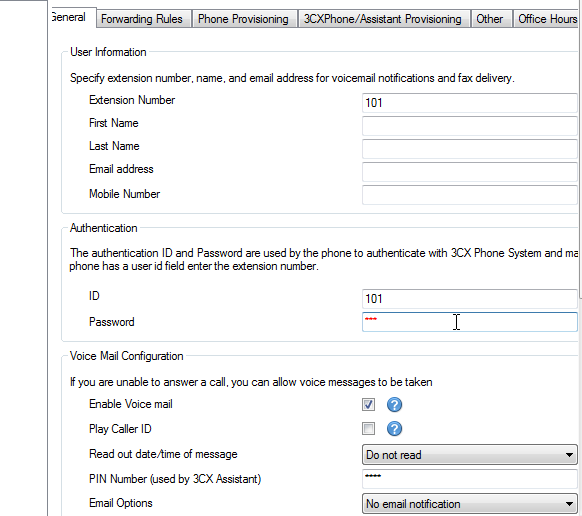 First of all your 3CX Phone System needs to be configured. 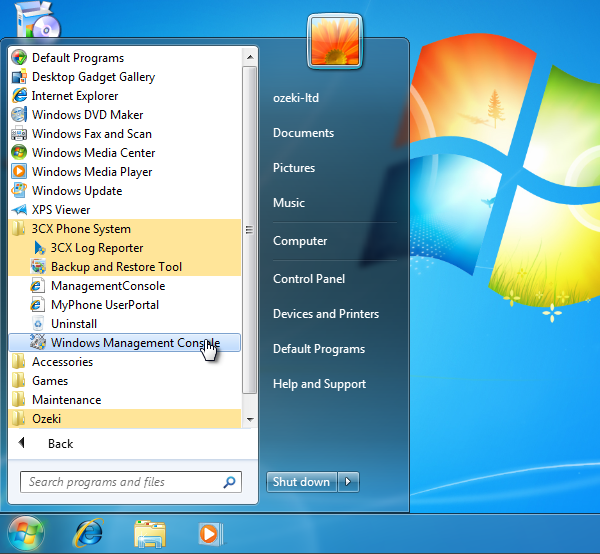 Click on Start menu, expand the 3CX Phone System folder and click on Windows Management Console (Figure 1). Once it is started, enter as an administrator. Provide your user name and password in the respective fields (Figure 2). After login, click on 'Extensions' in the navigation menu, and click on 'Add Extension' in the 'Extensions' panel (Figure 3). Fill the 'Extension Number' field, provide an ID and a Password in the Authentication group (Figure 4). 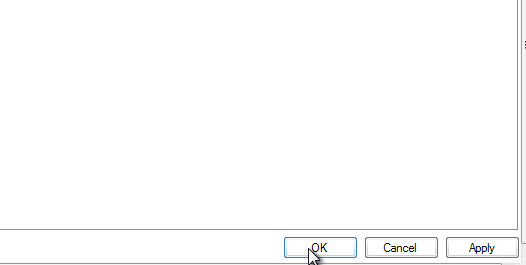 To save your settings, click on 'OK'.